"Russell also showed me a project he was doing on the wrought-iron based table. The project consisted of taping soft-drink cans for different periods, so the sun would produce patterns on the cans. 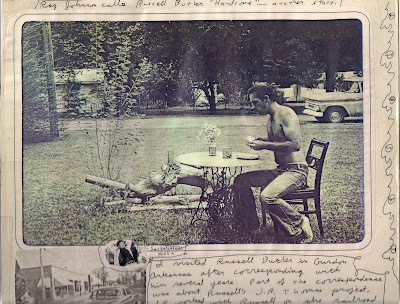 Russell called that his slow photography project."